Casa De Paradisio has arrived! This exquisite Bayside home is the very definition of luxury. No expense has been spared. With 4 bedrooms and 2.5 baths in the main house and two private bedrooms in the guest house. Casa De Paradisio has arrived! This exquisite Bayside home is the very definition of luxury. No expense has been spared. With 4 bedrooms and 2.5 baths and boasting lots of square footage. 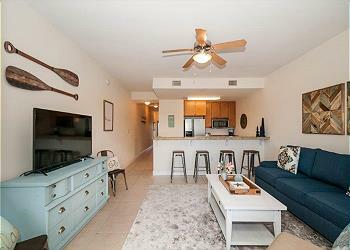 Cassine Station 303 is a one bedroom located in Seagrove Beach. Perfect for those couples looking for a romantic getaway or a small family looking to enjoy the beautiful beaches! This cozy condo is located on the third floor and sleeps six. This condo offers everything you are looking for a one-bedroom unit. It's beautifully renovated with comfortable and pleasant new furniture. Only steps to the beach. Enjoy a fantastic Gulf view from the balcony when you stay at Ciboney. There are also outdoor grills and tennis courts!